LOS ANGELES -- Gloria DeHaven, the daughter of vaudeville stars who carved out her own successful career as the bright-eyed, vivacious star of Hollywood musicals and comedies of the 1940s and '50s, died Saturday in Las Vegas. She was 91. Her agent Scott Stander said Monday DeHaven was in hospice care after suffering a stroke a few months ago. As an MGM contract player, the attractive DeHaven also posed for her share of bathing suit pictures, which made her a pinup favorite of GIs during World War II. As a teenager, she toured with big bands led by Bing Crosby's brother Bob and others. An MGM talent scout spotted her at a concert in Texas. After minor roles in "Best Foot Forward" and "Broadway Rhythm," DeHaven achieved stardom in 1944's "Two Girls and a Sailor," in which she and June Allyson played sisters vying for the affections of Van Johnson. MGM went on to employ DeHaven frequently as the second lead in such lightweight films as "Summer Holiday," ''Summer Stock," ''The Yellow Cab Man" (with Red Skelton) and "Three Little Words," the biopic of songwriters Bert Kalmar and Harry Ruby. In the latter film, she portrayed her own mother. DeHaven never achieved the top stardom Allyson and Kathryn Grayson enjoyed in musical movies for MGM, but had better luck at other studios, starring with Donald O'Connor in "Yes, Sir, That's My Baby," Tony Curtis in "So This Is Paris" and Glenn Ford in "The Doctor and the Girl." With her movie career waning in the 1950s, DeHaven turned to television and theater. She hosted ABC's 15-minute "Gloria DeHaven Show," appeared on numerous variety specials and became a regular on Bob Hope's overseas tours to entertain U.S. soldiers. She also starred in the series "Nakia," ''Delta House" and "Girl Talk" and played lengthy roles in the soap operas "Ryan's Hope" and "As the World Turns." DeHaven starred on Broadway with Ricardo Montalban in "Seventh Heaven" in 1955 and toured in "The Sound of Music," ''The Unsinkable Molly Brown," ''Hello Dolly" and "Cactus Flower." After a decades-long absence, DeHaven returned to films in 1997 with "Out at Sea," playing a mature woman who has a shipboard romance with Jack Lemmon. "I thought I would be very nervous," she said at the time. "It was like I'd never been away. Like going home." The only difference she noticed was the faster pace Hollywood films were being made compared to the 1940s and 50s. "When I was under contract, we had a great deal more time," she said. 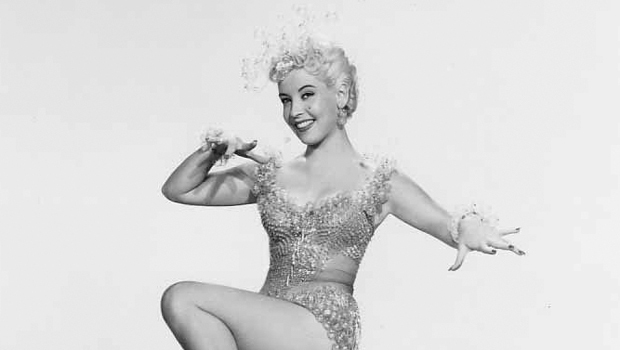 In her youth, DeHaven often toured with her parents, a popular song-and-dance team billed in Broadway shows, vaudeville and silent movies as Mr. and Mrs. Carter DeHaven. (Her mother's name was Flora Parker). After the vaudeville era died, her father worked as an assistant director on Charlie Chaplin's "Modern Times." When 11-year-old Gloria visited her father on the set, Chaplin hired her to play Paulette Goddard's younger sister. Six years later her brother, Carter Jr., landed DeHaven an audition with Bob Crosby's band. She was halfway through her first song when Crosby interrupted and told her, "OK, you can go home now." Thinking she failed the audition, she left, only to be contacted by the bandleader the next day. Crosby apologized and told her, "I interrupted you because you were perfect for the job." DeHaven was married and divorced four times, including twice to Florida auto dealer Richard Fincher. She had two children, Kathy and Thomas, with her first husband, actor John Payne, and two with Fincher, Harry and Faith. Harry Fincher did some acting under the name Richard DeHaven, according to the Internet Movie Database.